One Sunday a Haitian pastor illustrate to his congregation the need for total commitment to Christ. His parable: A certain man wanted to sell his house for $2,000. Another man wanted very badly to buy it, but because he was poor, he couldn't afford the full price. 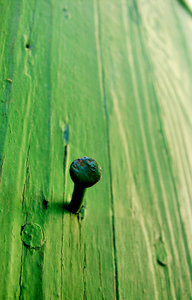 After much bargaining, the owner agreed to sell the house for half the original price with just one stipulation: He would retain ownership of one small nail protruding from just over the door. Dear Lord, we pray that we wouldn’t give the Devil even on small nail in our life. Help us make sure our life is completely Yours. In the Name of Jesus, Amen.